kreachr's little corner: We made it!!! We're alive! After seven weeks of school holidays!! I haven't lost the plot (completely) and the boys survived with their eardrums intact. I sent them off to school this morning, all smiles. My housework is done, I've been to the gym, caught up on grocery shopping, run my errands, and its not even lunch time yet!! Gonna update this here blog, then blob on the couch to knit and watch Desperate Housewives. Yay. 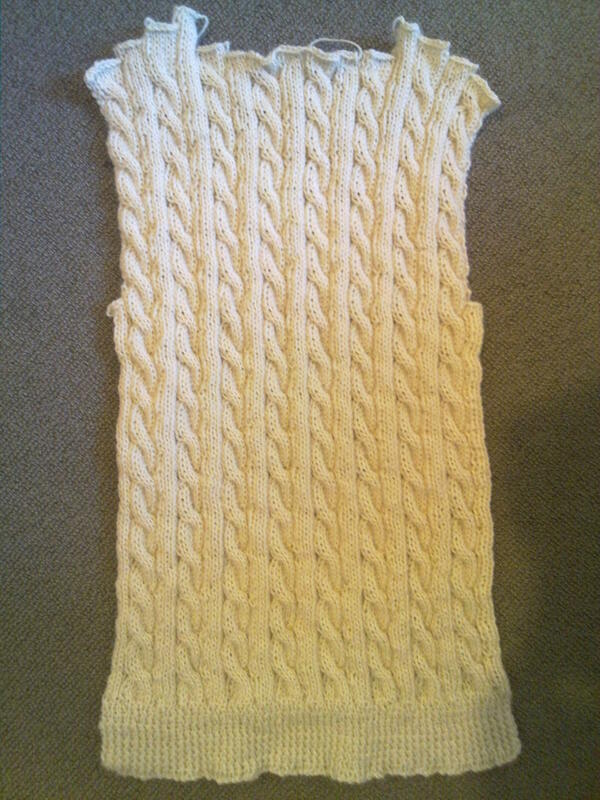 I cast on the front last night, and have done the ribbing and three pattern repeats. Going well so far! This sweater is from the Charmed Knits book, which is full of patterns inspired by the Harry Potter movies - Harry wears this gorgeous red cabled sweater in the first movie. I love it! It doesn't look quite as good in white, but oh well. I've adjusted the pattern slightly to fit X better (hopefully). I was going to make the smallest size, which is the child's medium, but it didn't look like it was going to fit too well around his middle (fat puku!) so I frogged and started again with the child's large size. 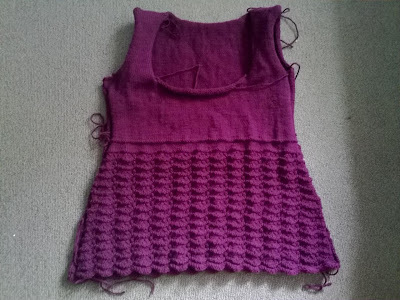 However, I've shortened the length of it, knitting to 13" before starting the armholes instead of 14", and making the armholes the same size as the medium. I'll have to remember to make medium sized sleeves so they fit in properly later! I've finished the front of my Jaden sweater, and cast on the sleeves, but haven't got much further with it - it's been put on hold while I knit X's sweater.